Documents related to the Rafale deal were published in public interest and nobody would get any information from The Hindu newspaper on the confidential sources who provided them, The Hindu Publishing Group Chairman N Ram said on Wednesday. The documents were published because details were withheld or covered up, the veteran journalist said as the government told the Supreme Court that documents related to the Rafale aircraft deal have been stolen from the Defence Ministry and an investigation into the theft is on. "You may call it stolen documents...we are not concerned. We got it from confidential sources and we are committed to protecting these sources. Nobody is going to get any information from us on these sources. But the documents speak for themselves and the stories speak for themselves," Ram told PTI. He has written a series of articles on the Rafale deal, the latest one on Wednesday. 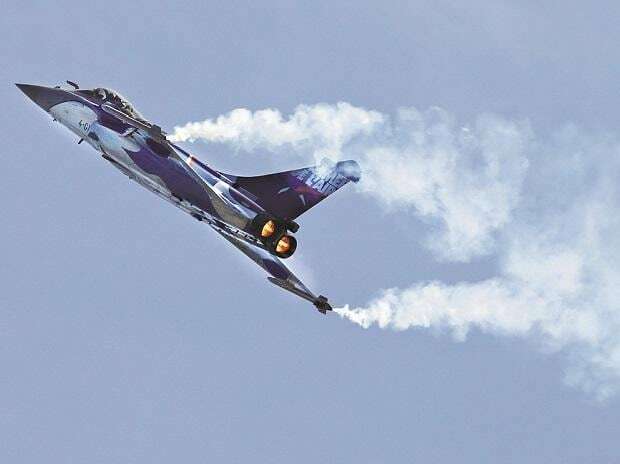 Those who put documents on the Rafale deal in the public domain are guilty under the Official Secrets Act and contempt of court, Attorney General K K Venugopal said on Wednesday before a bench hearing a batch of petitions seeking a review of the court's verdict dismissing all the pleas against the agreement on the fighter jet. "I will not comment on the proceedings of the Supreme Court. But whatever we have published has been published. They are authentic documents. And they have been published in the public interest because these details have been withheld or covered up," Ram said. "... It is the duty of the press - through investigative journalism - to bring out relevant information or issues of great importance for the public interest," he added. On February 8, Ram wrote in The Hindu that the Defence ministry raised strong objections to "parallel discussions" conducted by the PMO (Prime Minister's Office) during the negotiations over the Rs 59,000 crore Rafale deal between India and France. It was allegedly based on government documents related to Rafale deal. "What we have done is completely protected under article 19 (1) (a) of the Indian constitution - freedom of speech and expression - and also under the relevant sections of the Right to Information Act, specifically, its section 8 (1) (i) and section 8 (2), which clearly protects this," Ram said.